There are many meals you can cook in a slow cooker, including a pork roast. Slow cookers make cooking easy and convenient. Nothing is better than walking in the door from a long day at work knowing dinner is ready. How long you cook a pork roast in the slow cooker will depend on its size and how many ingredients you add. Whatever recipe you decide to use, the cooking method is simple. When choosing a pork roast to cook in the slow cooker, select one that is between three and five pounds in size. If the roast is too large, it will take up all of the space inside the unit. It's imperative that the heat can circulate around the piece of meat to cook properly. Any cut of pork roast will work. Even the toughest cuts of meat will become tender cooked in a slow cooker. 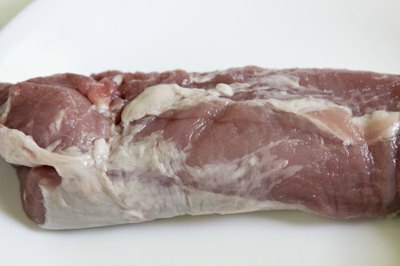 As with any method of cooking, the bigger the piece of meat you use, the longer it will take to cook. Place the slow cooker on your counter, not too close to the edge. The last thing you want is someone knocking it off and sending your dinner spilling onto the floor. Spray the inside of the cooker with a cooking spray. 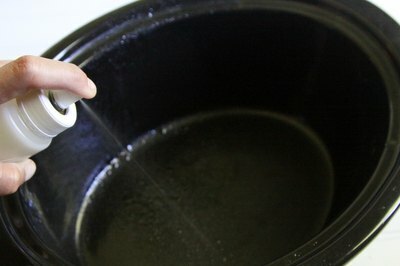 This will keep the food from sticking to the sides, making cleaning the slow cooker easier. After all, slow cookers are all about ease. You can sear the roast on each side before placing it in the cooker. 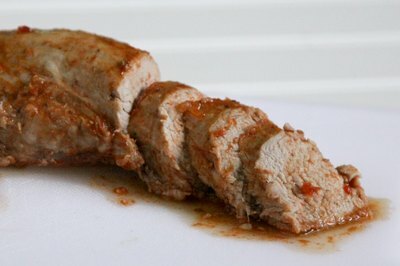 This will add more flavors to the meat, but it is not a necessary step. Sprinkle the bottom side of the pork roast with seasonings such as pepper, salt, cayenne pepper and garlic. Place the roast into the slow cooker and add seasonings to the top portion of the meat. Pour a bottle of barbecue sauce on top of the roast. You can also add onions to the pot. Close the lid. Turn the slow cooker on high and allow the pork roast to cook at this temperature for one hour. Turn the cooker down to low after the hour and let the pork roast continue cooking. Try not to open the slow cooker's lid during the cooking process, or you will lose heat. It's estimated that every time the lid is opened, twenty minutes of heat is lost. The pork roast should be done in approximately eight hours. When using a slow cooker, it is always best to check the meat with a meat thermometer before eating it. Medium rare will register on the thermometer at 145 degrees; medium will be 160 degrees; and well done, 170 degrees. Low on a slow cooker is 200 degrees, and high is 300 degrees. 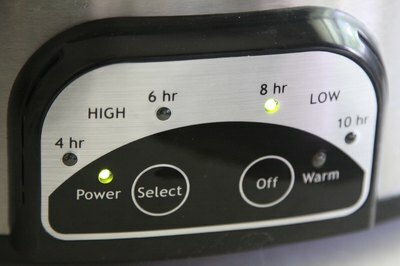 If a roast takes one to three hours to cook in the oven, in the slow cooker on low, it will take approximately eight hours, and on high it will take approximately four hours. How Long Do You Cook a Pot Roast in a Slow Cooker?